First off, this is NOT Ashitaba (Tomorrow Leaf). The photo below is Gynura Procumbens, an herbal treatment of eruptive fever, rash, kidney disease, migraine, constipation, hypertension, diabetes mellitus and cancer according to this source. A family member's recent bout with cancer lead me to this plant. 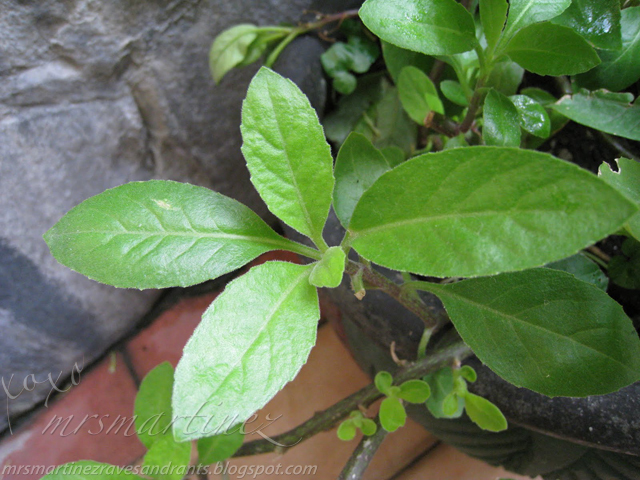 Initially mistaken as ashitaba, another cancer herbal remedy plant, gynura procumbens is usually eaten raw. It is not to be eaten with coffee and tea as these two have caffeine in them. Give at least 4 hours in between taking gynura procumbens and coffee/tea. Also known as Sambung Nyawa in Malaysia meaning extending life. 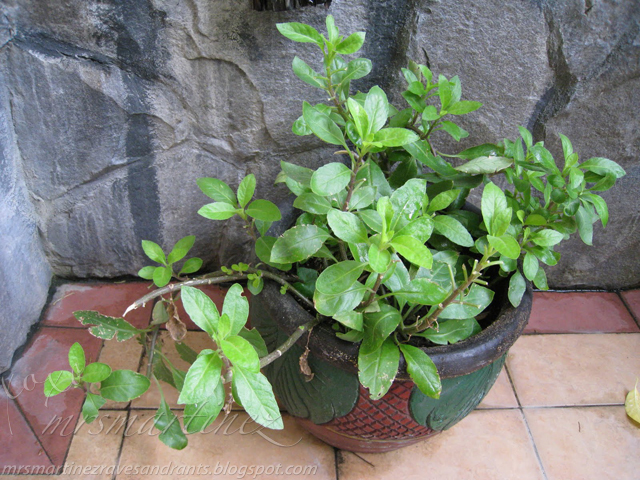 Here is another post on How to water your Gynura Procumbens. Picture and read more about Ashitaba here.